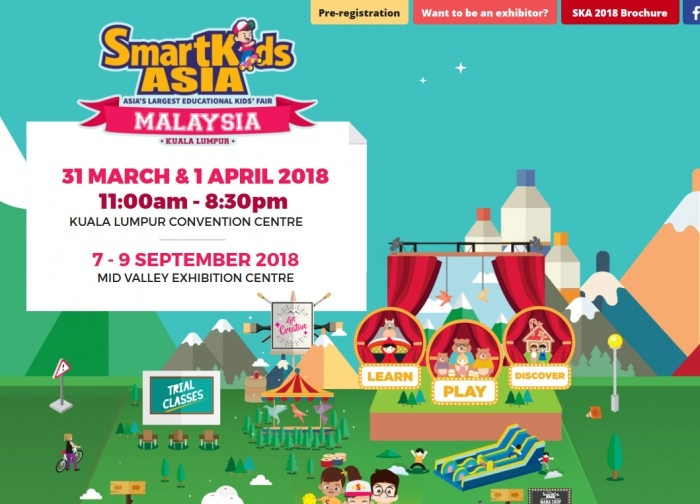 SmartKids Asia is a fun-filled family event targeting children from the age of 1 - 12 years old, and their parents and caregivers. The objectives of this kids education exhibition is to encourage parents and caregivers to nurture and create future role models, and allow for parents to explore and discover their child’s innate talents and build family bonds through the various exhibits and programmes that are tailored beyond academic excellence. Combining Education, Health and Family Bonding activities, these exhibitions offers unparalleled opportunities to lean and explore through must-see demonstrations, family centric exhibits and product booths. It is an ideal platform for parents and parents-to-be to explore and focus on building up blocks of a happy child as well as happy family relationship for a life-long impact!